KJIPUKTUK (Halifax) – Nova Scotia Senator Wanda Bernard wants Canada to designate August 1 as Emancipation Day, to remember the formal abolition of slavery in the British colonies, to recognize the magnitude and immense evil of slavery but also the resilience of enslaved Africans, and to reflect on the enduring impact of slavery. To be clear, Emancipation Day is not intended to be a new holiday. It’s just a designation. On October 23 of last year, at Second Reading of her Bill S-255 Bernard explained why she feels so strongly about this. It’s a very good read. The Bill is at Second Reading, which means it has a way to go before it becomes law. With an election planned this fall time is running out. In 1834, the Abolition of Slavery Act was passed for the British colonies, which freed approximately 800,000 enslaved Africans. This day is important in Canadian history because it impacted the lives of those enslaved, the lives of their children, and it continues to impact the lives of African Canadians today. August 1 is historically significant, and it remains relevant to this day. Emancipation Day is about learning our collective history — not rewriting that history, but telling a more complete history that includes the history of slavery in Canada. Emancipation Day is also about celebrating and making connections within and between our communities. It is a special day to celebrate our cultures, our resilience and our freedom. I would like to emphasize the importance of continued learning about our histories to understand systemic anti-Black racism. I propose for Emancipation Day to be federally recognized, as this acknowledgment is a necessary step toward healing the historical trauma endured by African Canadians. Our history has been repeatedly erased. Enslaved Africans were stripped of their names in an attempt to strip them of their identities. After emancipation, our history continued to be erased by methods of segregation, murder and systemic marginalization. In schools, we teach Canadian history from a Eurocentric perspective that omits or dilutes the human rights violation against African Canadians. Recognizing emancipation is a step forward in recognizing African Canadian history as part of Canada’s story and teaches the next generation about the shameful and forgotten parts of the past that must not be repeated. I have had the pleasure of attending many Emancipation Day celebrations over the years. In 2017, I visited Burlington, Ontario, where Natasha Henry, President of the Ontario Black History Society, was keynote speaker. She shared highlights from her book, Emancipation Day: Celebrating Freedom in Canada. Her speech was an important reminder of the social, cultural, political and educational practices of Emancipation Day celebrations over the years, especially in Ontario, Nova Scotia, New Brunswick, Quebec and British Columbia. In fact, at the provincial level, once again due to the work of the Ontario Black History Society, Ontario is the only province in Canada that has passed legislation proclaiming August 1 as Emancipation Day. Bill 111, the Emancipation Day Act, received Royal Assent on December 10, 2008. This year, to commemorate 184 years since the abolition of slavery, I attended three community events, two in Toronto and one in Owen Sound. Organizations like the Owen Sound Emancipation Festival and the Ontario Black History Society resist the erasure of Black history and the marginalization of African Canadians by ensuring that all generations of African Canadians can learn and explore their heritage in publicly accessible events. A big part of recognizing Emancipation Day is talking about the many segments of Canada’s past that often do not make it into mainstream history-class curricula. Taking the time to learn about our robust history reveals stories of resilience, victories and communities coming together. I learn something every time I read about our history. I have actually a taught a course on African-Nova Scotian cultural history at the Halifax Public Library to a group of seniors, many of whom have lived in the province for over 65 years. Even they have not heard many of the stories of their provincial history. There are over 20,000 African Nova Scotians across the province, and their history is rarely paid any attention. After the emancipation of enslaved Africans, a few found their way back to their mother continent. Those who did, went to Sierra Leone, not able to make it back to their family’s country of origin. But many could not make that journey back to the motherland. They remained displaced. Many were brought to Nova Scotia and given a small plot of subpar rural land. This land was barely viable as farmland, filled with rocks and infertile soil. Despite these impossible living conditions, we endured and survived the harsh conditions. Yet to this day, African Nova Scotian people and communities continue to be marginalized. Their stories are erased — a people pushed to the margins. 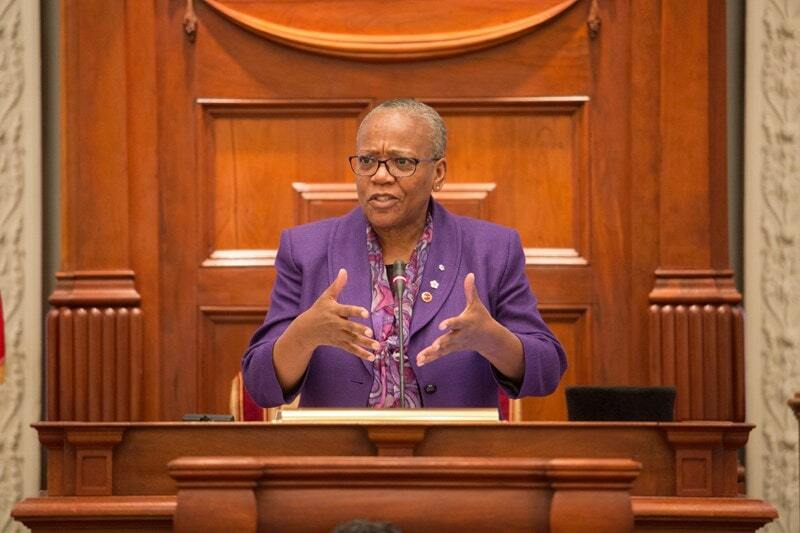 In that same vein, Professor Michelle Williams, Director of the Indigenous Blacks & Mi’kmaq Initiative at Dalhousie University Schulich School of Law, appeared as a witness for the Standing Senate Committee on Human Rights earlier this year, advocating for the recognition of African Nova Scotians and Black Canadians more generally. Professor Williams highlighted this distinctiveness as one of the many points made by the UN Working Group of Experts on People of African Descent, which reported last year on its mission to Canada. At paragraph 84(b), the report states that the Government of Canada should legally recognize African Canadians as a distinct group who have made and continue to make profound economic, political, social, cultural and spiritual contributions to Canadian society. Recognition leads to understanding and education, which can then lead to action. For far too long, the stories of slaves and their descendants have been kept alive solely in Black communities. It is time to teach all our children this part of Canada’s history so that we can begin the reparations necessary to address modern-day anti-Black racism and the impact of that racism. A step on this journey toward reparation would be an official apology to the descendants of slaves, to bring this issue to the forefront of Canadian consciousness. Africville is an example of the erasure of an entire community. Africville was a marginalized African Nova Scotian community whose residents were forced out of their homes some 50 years ago, separated from their neighbours, families and community. Their property was bulldozed — their church was bulldozed in the middle of the night. The Halifax city leaders believed that by destroying the church it would be easier to convince the residents to leave. Social workers were used to help convince them to leave. The people of Africville were forcibly relocated throughout the Halifax area, and some were moved on the back of city dump trucks. Lives were destroyed. The attempt to erase this entire community resulted in a trauma that for many has never healed. The people of Africville have started an annual reunion, which creates critical hope. Research about the violence of racism and its impact has identified critical hope as a strategy to deal with racism. Critical hope helps to empower and mobilize people to develop creative actions to break through barriers caused by oppression. The Africville reunion is a symbol of resilience and unity — a symbol of critical hope — as some members of the community have come together each year in remembrance for 35 years now. Each year people travel to Africville, coming together to celebrate the interconnectedness of our histories, despite geographic distance. This year, people from Owen Sound and Toronto travelled to Africville. This year, in Toronto, I participated in the Freedom Ride, organized by a local bookstore, A Different Booklist. This was a ceremonial subway ride from Union Station to Bayview Station, representing the long and arduous quest for freedom along the Underground Railroad. This year, dozens of people of African descent attended to connect with others and reflect on their ancestors’ journeys on the Underground Railroad. It was incredibly moving, also energizing and inspiring. Many did not survive the Underground Railroad and many of those stories are lost, as they were sworn to secrecy to protect freedom seekers. The Freedom Ride was a deeply emotional experience as we honoured our ancestors who survived the perilous journey to freedom, and we mourned those who did not survive. These community events allow African Canadians to come together in celebration of our heritage, in remembrance of our ancestors, while recognizing how our current circumstances were created by this history. These events are a key component in the revival of African Canadian history. Forging strong community connections helps us to build a better future. I also attended the one hundred and fifty-sixth annual Owen Sound Emancipation Festival. This community has successfully kept alive the tradition of coming together to celebrate emancipation with food, music, prayer and education. When I was in Owen Sound this summer, I shared the history of the Underground Railroad with my two grandsons. My older grandson asked me, “Why were Black people slaves, Nanny?” I struggled to find the right words to explain this to my 9-year-old grandson, and I told him the reason for slavery was abuse of power and capital gain, and he understood. But most children are not given the space to explore these complex topics in school or with their families, as many people teaching them are not familiar with the concepts themselves. It is also important for the learning to include the fact that our Black history did not start or end with slavery. Emancipation Day is for people of all ages to learn about this storied history, to learn about slavery and the continued legacy of slavery that is evident in today’s experiences of anti-Black racism and racist micro-aggressions. Slavery and segregation created circumstances of marginalization, a cycle of unequal access, lost opportunities and systemic poverty. Even after slavery was abolished in Canada, African Canadians continued to be devalued and left to survive with subpar health care, education and lack of employment opportunities. Communities were legally segregated, creating significant barriers to success. Even though segregation is no longer legal, African Canadians continue to experience systemic anti-Black racism through social exile, through significant economic disparities, through active discrimination. This history gives context to the current circumstance of poverty and violence, and with the erasure of this context, poverty and violence are dismissed as individual issues rather than being accurately understood as systemic issues. Last spring in the Senate, I introduced an inquiry into anti-Black racism in Canada. This inquiry is based on the United Nations report, which affirms the experiences of African Canadians. Anti-Black racism is ever-present in Canada, and it impacts child welfare, education, incarceration, employment, health, well-being and poverty. Senator Pate spoke to the over-representation of African Canadians in the Justice system. While Black Canadians make up only 3.5 per cent of the general population, they account for 8.6 per cent of the prison population. Senator McPhedran spoke to the importance of understanding intersectionality. Black women are in the unique position of facing both racism and sexism, furthering their marginalization and creating the reality of double jeopardy. Senator Hartling spoke about microagressions and the importance of allyship. Honourable senators, Emancipation Day is for allies too. As we move these issues forward, allyship is one of our most important tools for creating a more equal and a more just society. Participating in Emancipation Day events across the provinces and in different cities and towns is a reminder of how many of us are both connected and traumatized by this history. Emancipation Day is a time to remember our past and remember the people who fought for freedom. It’s a time to remember those who did not survive. It’s a time to remember our ancestors, whose shoulders we stand upon — whose shoulders I stand upon. Emancipation Day is also about reflecting on our present, taking the time to examine the current circumstances and remembering why Black lives matter. When we talk about intergenerational trauma within African Canadian families, we are looking at generations of trauma stretching back to times of slavery, pre-1834. Tying our present to our past is a way of recognizing how slavery and segregation are actually the roots of anti-Black racism. The International Decade also offers a framework to better address the very real and unique challenges that Black Canadians face. By working together, we can combat anti-black racism and discrimination, and deliver better outcomes for Black Canadians.
. . . promote greater knowledge and recognition of and respect for the culture, history and heritage of people of African descent, including through research and education, and promote full and accurate inclusion of the history and contribution of people of African descent in educational curricula . . .
. . . ensure that textbooks and other educational materials reflect historical facts accurately as they relate to past tragedies and atrocities, in particular slavery, the slave trade, the transatlantic slave trade and colonialism, so as to avoid stereotypes and the distortion or falsification of these historic facts, which may lead to racism, racial discrimination, xenophobia and related intolerance, including the role of respective countries therein . . . I would like to extend my sincere gratitude to Dr. Rosemary Sadlier for tirelessly advocating to have Emancipation Day nationally recognized in Canada. Thank you, Rosemary Sadlier, for paving the way for me to introduce An Act proclaiming Emancipation Day. My name is Aileen Lee. I am a resident of Canada who attends Grade 10 Surrey Christian Secondary School. We are learning about politics and I found a bill named Bill S-255, An Act proclaiming Emancipation Day. My hope is that this bill is legalized through your support, such as advocating, and voting for it. Slavery is a great issue in Canada and it is a thing that every person should remember and think about. It is recognized to students through educating them, but what about adults? What I would like to say is that this bill deserves to be passed. It is a meaningful bill to me, and I think the sacrifices of slaves should be remembered. I couldn’t have said it any better, Aileen Lee: The sacrifices of slaves should be remembered. Honourable senators, I hope you have learned something new about African Canadian history today, and that you can appreciate the value of recognizing Emancipation Day federally to facilitate these community celebrations, to facilitate further education and remembrance. These celebrations are often the cornerstone of communities learning about Black history, examining systemic anti-Black racism, highlighting resilience and unity and, ultimately, working to improve the lives of African Canadians. Thank you.